Ailsby Collection: Badge of Honour of the “Jeugdstorm”. Badge of Honour of the “Jeugdstorm” - Obverse. Badge of Honour of the “Jeugdstorm” - Reverse. The Badge of Honour of the “Jeugdstorm” follows the form of the membership badge of the “Jeugdstorm”. The award comprises a round badge that has a fine outer line and has a circumference of 17 mm. Onto this is superimposed a sea gull or sea mew whose beak and tail feather just break the circle by 2 mm at 3 and 6 o’clock. Its wing, in flight, breaks the upper portion by 14 mm. the overall measurements of the badge are height 30 mm by a width of 20 mm. 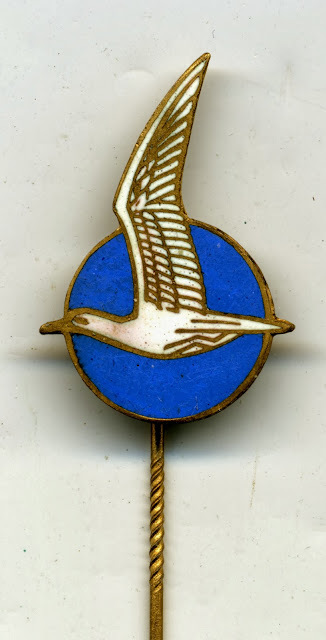 The central field of the badge is in filled with blue opaque enamel and the sea gull in white. The raised portions of the outline of the sea gull and its fletching and the outer raised edge line are finished in guilt. The reverse is flat without marking to which is attached a needle pin all are gilded. it was worn above the left breast pocket of the uniform. It was awarded to all those who had a membership number of below 1200, or to those who had joined the movement prior to 1st May 1940. 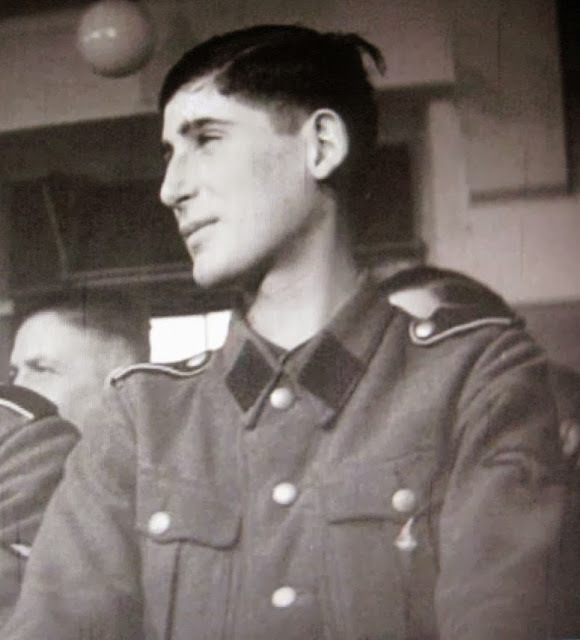 It could also be awarded for any special act of merit within the “Jeugdstorm”. Badge of Honour of the “Jeugdstorm”in wear. Zondervan A.J. - Commandant of the W.A. presenting arards note the Badge of Honour of the “Jeugdstorm”in wear. 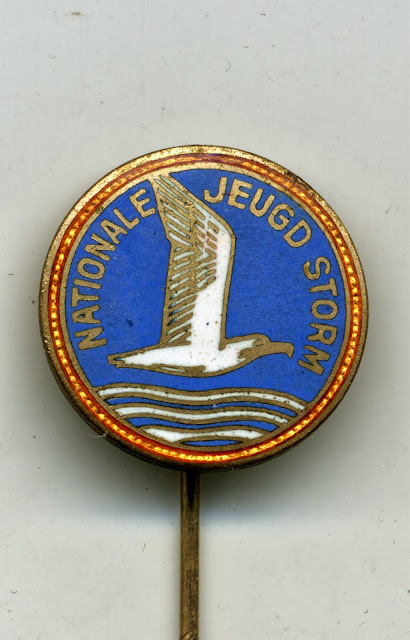 Dutch 'NJS' 'Nationale Jeugdstorm' Membership Label-pin (Dutch 'NJS Ledendraagteken') - Second Type. 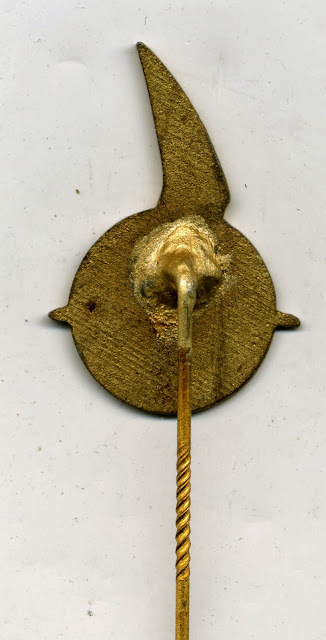 The Dutch 'NJS' (or 'Nationale Jeugdstorm') membership label-pin (Dutch 'Ledendraagteken') being of the circular second type. This version was intended for both male and female members. 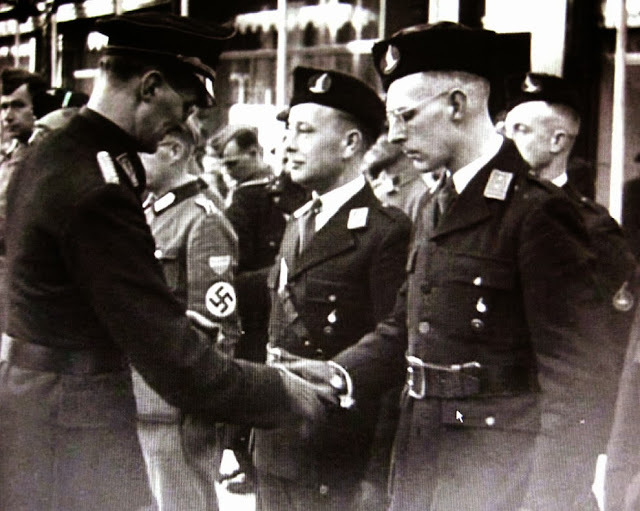 The Dutch pro-German youth movement NJS (or 'Nationale Jeugdstorm') was the Dutch equivalent of the 'Hitlerjugend' and its management was completely controlled by the Dutch pro-German party, the NSB ('Nationaal Socialistische Beweging'). 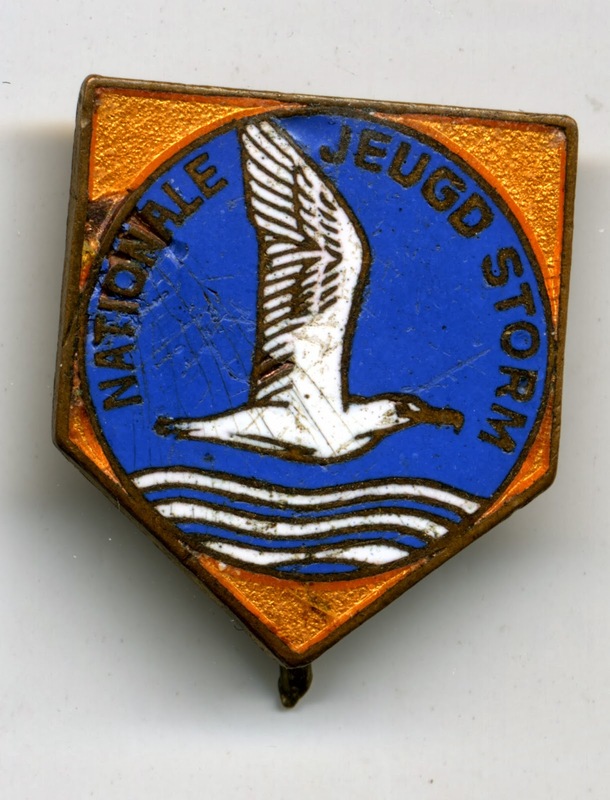 Dutch 'NJS' 'Nationale Jeugdstorm' Membership Label-pin (Dutch 'NJS Ledendraagteken') - First Type. - Shield.